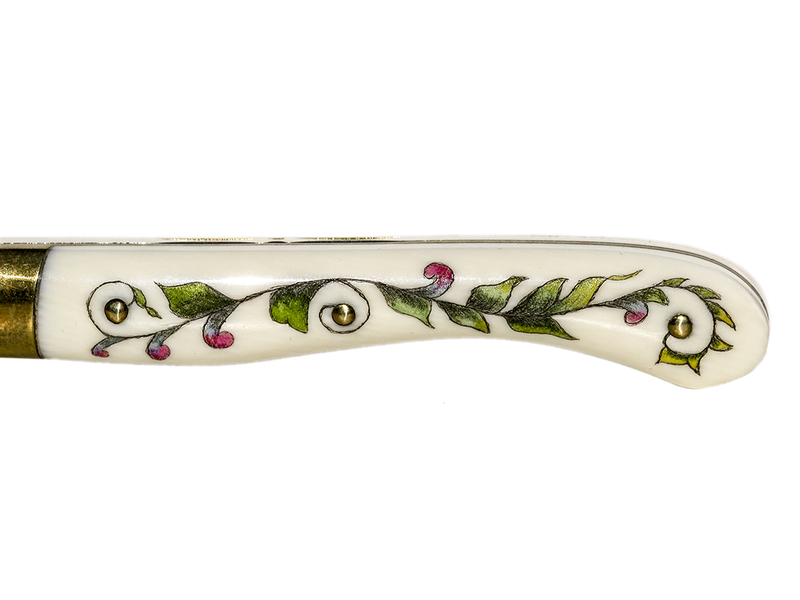 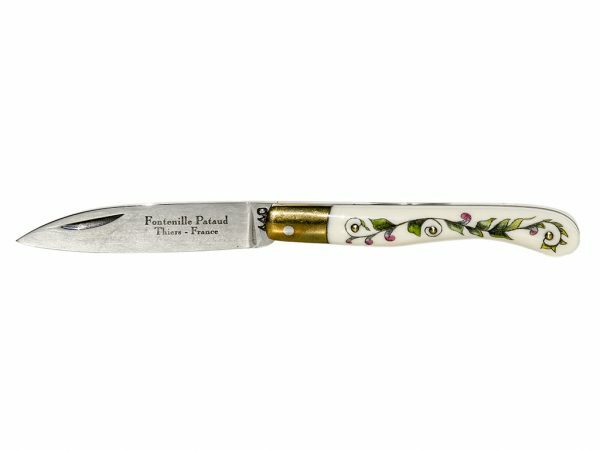 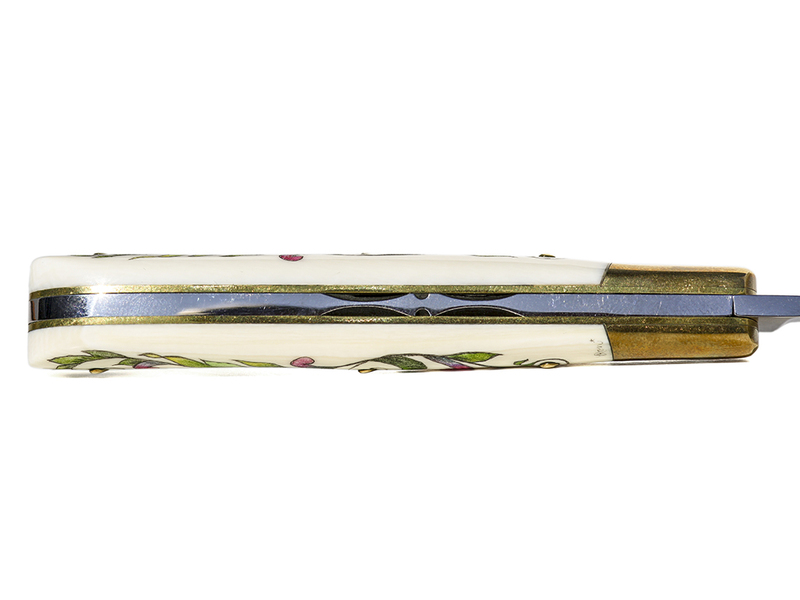 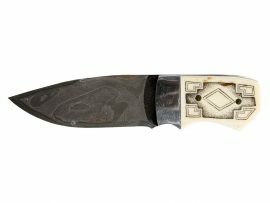 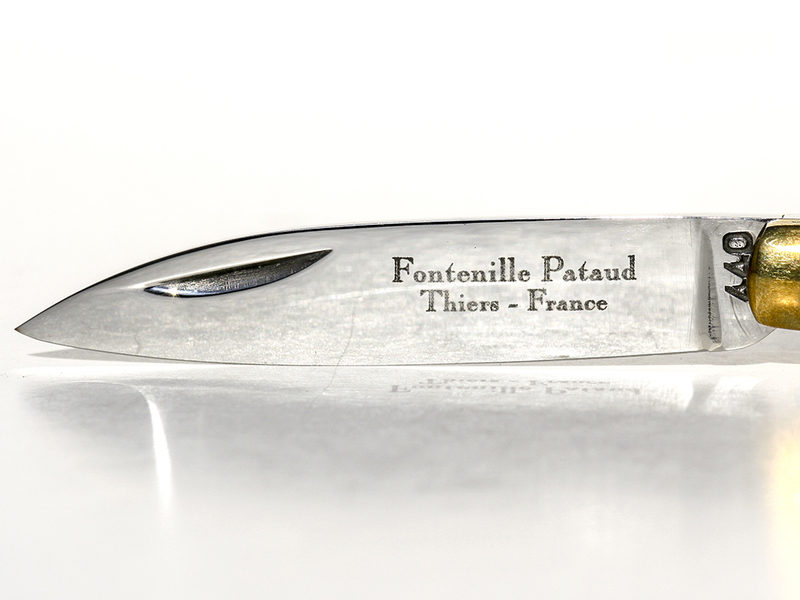 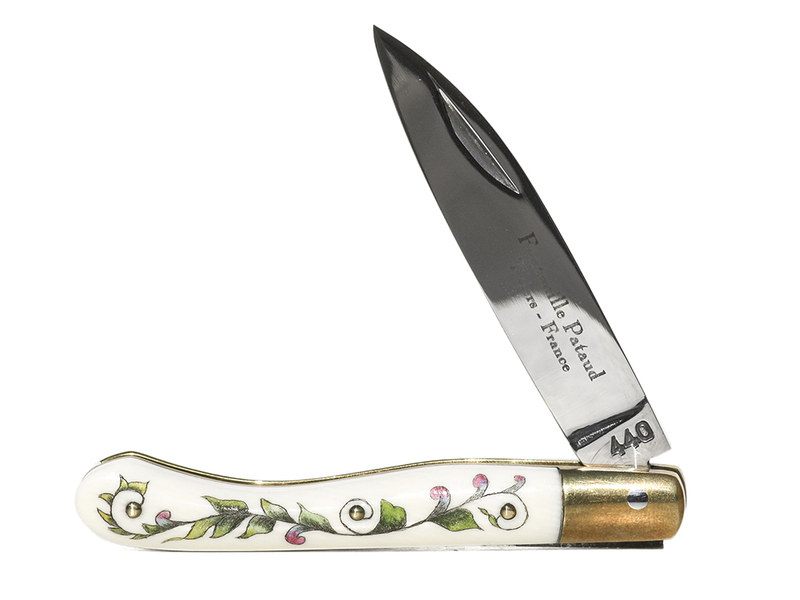 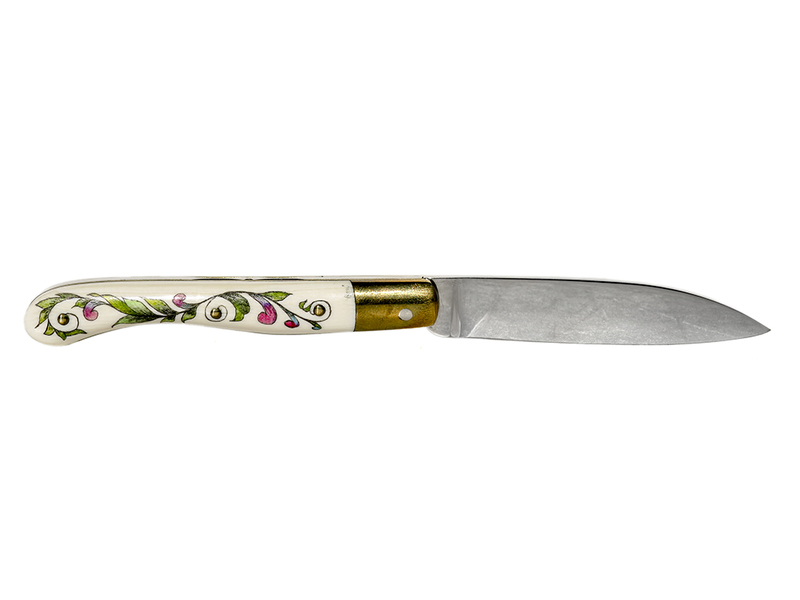 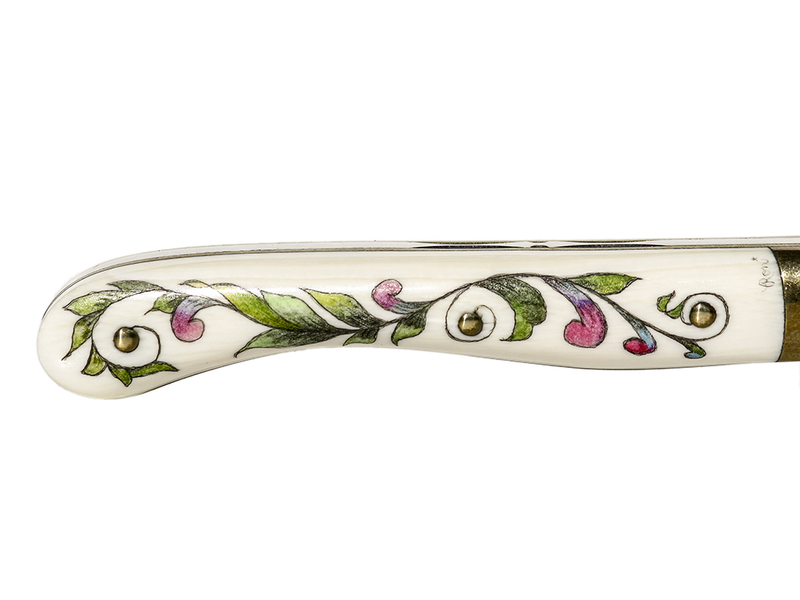 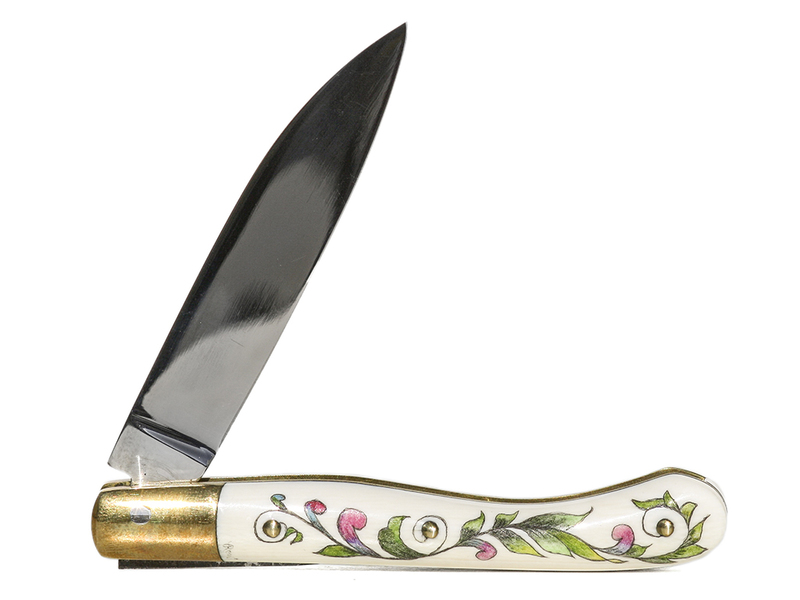 ‘Fontenille Pataud Scrimshaw Knife’ Color scrimshaw on pre-ban African ivory by Roni. 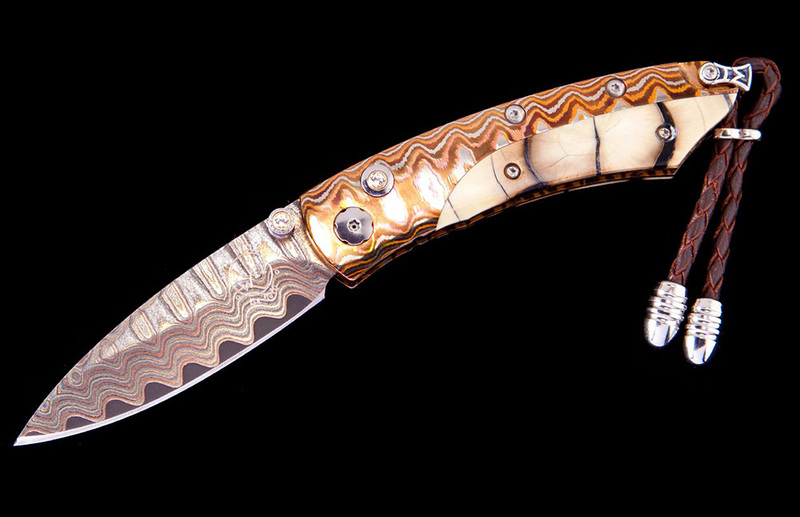 Delicate work by well known scrimshander on this one of a kind knife. Soft color in the flowers and vines on both sides. 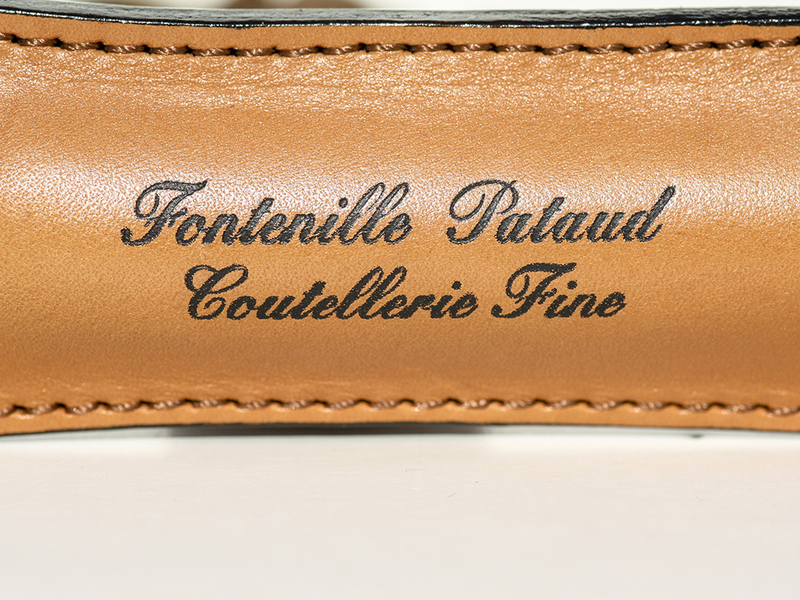 Comes with its own leather case. 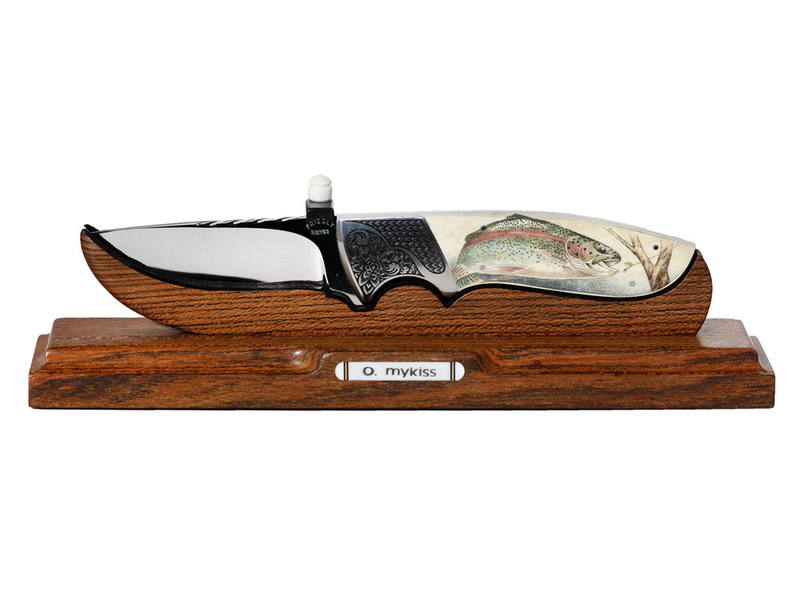 Something different for the discerning collector.